During a community debate last week between Councilman Rory Lancman (D-Hillcrest) and Assistant Queens District Attorney Jim Quinn on the closure of Rikers Island, the audience was surprised when the debate turned into a discussion about bail reform, race and the Queens DA’s unique plea deal. Community members in attendance at Young Israel of Kew Gardens told Lancman that they attended the event to hear about the safety of their neighborhood once a neighborhood jail to replace Rikers Island is built. Lancman pointed out that the council members in the districts where the jails are proposed to be built are in favor of closing Rikers. He stated that issues of race and bail reform are inextricably bound to the closure of Rikers. Quinn said that he did not expect a debate on the way the DA’s office is operated or the plea deal system it employs — both of which he believes were misrepresented in Lancman’s descriptions. Quinn pointed out that the DA’s plea deal asks accused people to waive their right to a speedy trial and has them sit with the office’s deputy bureau chief to negotiate the case. In the same article, Quinn said that the DA’s caseload has gone from 140 to 30 cases per week. At the debate, he said that other counties have taken note of the process. Lancman implored the audience to “search your conscience” when forming an opinion on the closure of Rikers. “This burden of a broken system falls on communities of color,” he said, stating that people of color comprise 92 percent of Rikers’ population. He noted that a stint on Rikers could prevent people from obtaining jobs and housing, and from furthering their education. He believes that this takes away the right of accused people to hear the evidence that police have gathered and to be judged by their peers. Lancman said that the Queens DA’s plea deal is using the system to lock people up before they are proven guilty. He added that this new kind of plea deal has been taken by defendants and their attorneys 95 percent of the time in the past 20 years. Its purpose is to pay more attention to each defendant and make sure that each person is indicted fairly. Once a defendant waives his/her right to a speedy trial, the DA and defense attorney have 30 days to study the evidence and work out what the defendant should or should not be indicted on. Quinn said that instead of an indictment, the defendant can plead to a lesser charge or be put into one of the 27 alternative sentencing programs. “We use it to get someone who’s innocent out of the system. It’s one of the ways we weed those cases out,” he added. He noted that the Mayor’s Office of Criminal Justice is trying to get the other DA offices to adopt this system. Quinn said he welcomed further discussion about the issue with the councilman. He believes that the essence of Quinn’s argument is that everybody spending time on Rikers deserves to be there, and anyone who attempts to reduce time for inmates is wrong. Lancman sees the DA’s office as defenders of the status quo. Currently, Rikers Island has approximately 8,000 inmates. 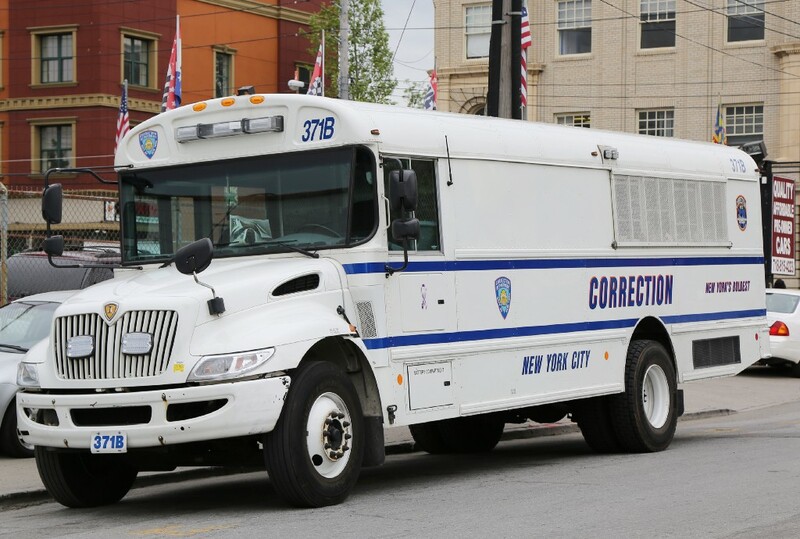 The Lippman Commission report, which studied possible effects of Rikers’ closure, stated that the jail should house approximately 5,000 people, and then have 1,500 people in each borough jail. Quinn criticized the number as being arbitrary, although the commission report includes a formula in regard to how it determined that number. Lancman said that the commission studied known justice reform, and came up with a formula regarding the capacity and size of the new jails that are being created that the city ought to implement. Regarding safety issues relating to the new jails, Lancman said that Brooklyn, the Bronx and Queens have jails in their communities — and crime has not increased in those areas. However, he said he understands that a home is a person’s most significant asset.